Up to 12 months, as low as Rs. 958 per month. Keeping Things CoolGet Geepas GAC9450 AC Air Cooler and make your home chilled with excitement. It has LED screen control option with remote so you can operate this Air Cooler easily without trouble. 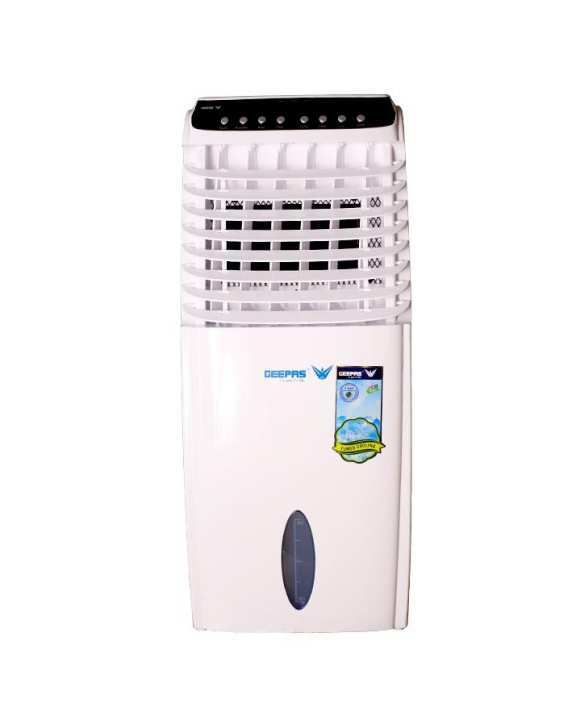 This compact and powerful GAC9450 AC Air Cooler has 12-liter water capacity which provides comfortable humidity inside the house by spraying the water in to the air. It comes with 3 speed modes Low/Med/High where you can adjust the cooling speed according to your preference. This Geepas Air Cooler comes in a nice White color combination that gives a nice look. You can keep this in any side of your room and will look amazing with any kind of setup. It also features with natural and sleep fan mode that gives you comfortable cooling with convenience. sir 12 hrs kitny units Leta hay? 90 watt ka cooler hai ab aap khud idea lga lain kitnay units lay ga.